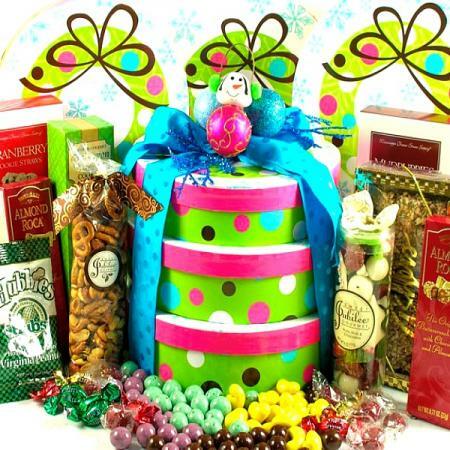 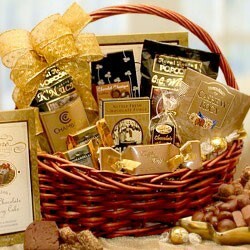 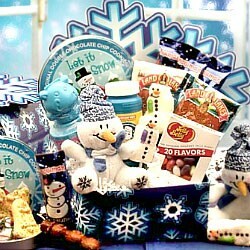 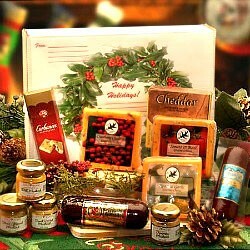 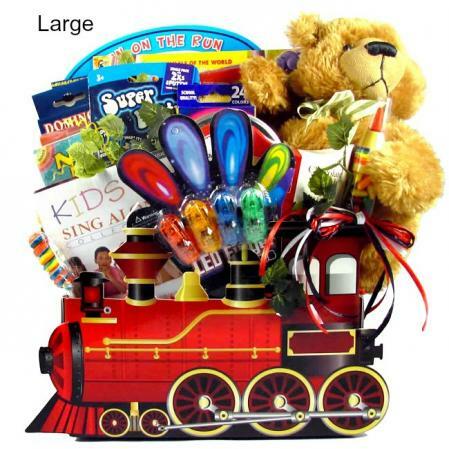 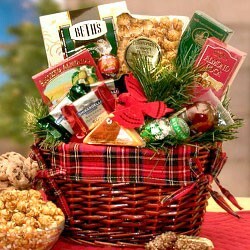 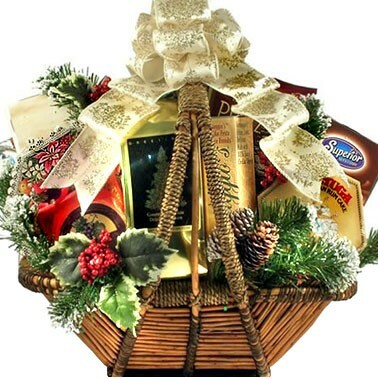 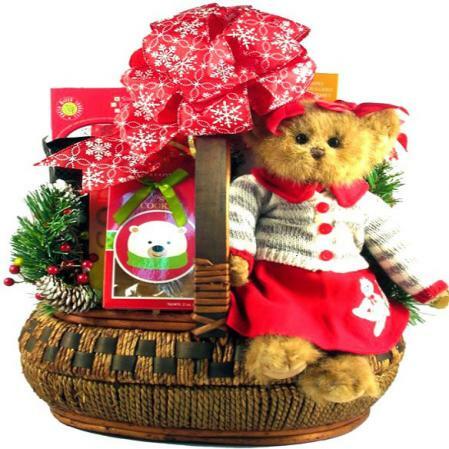 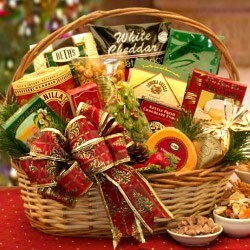 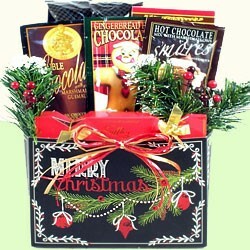 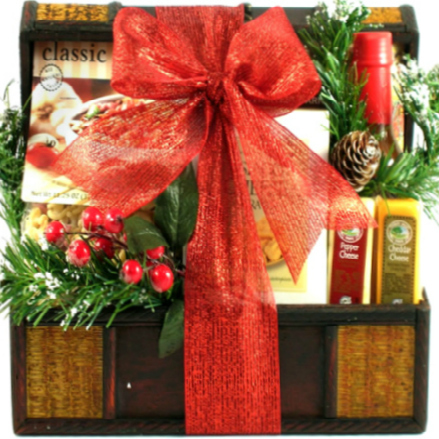 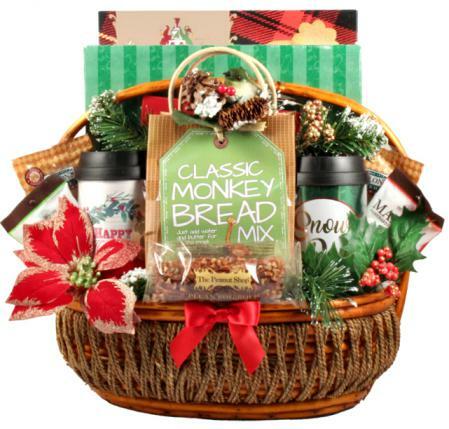 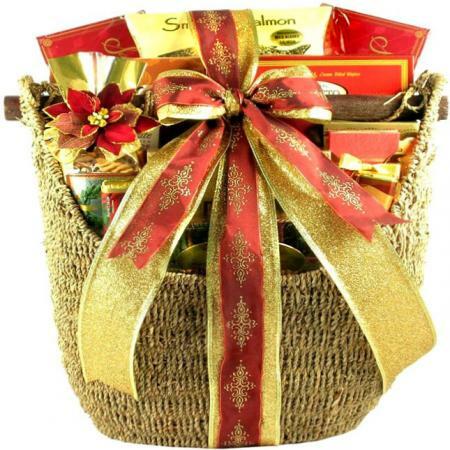 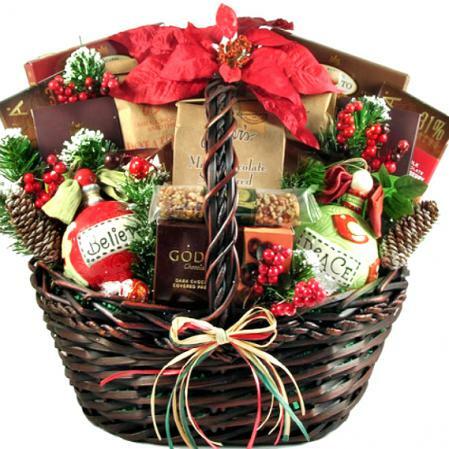 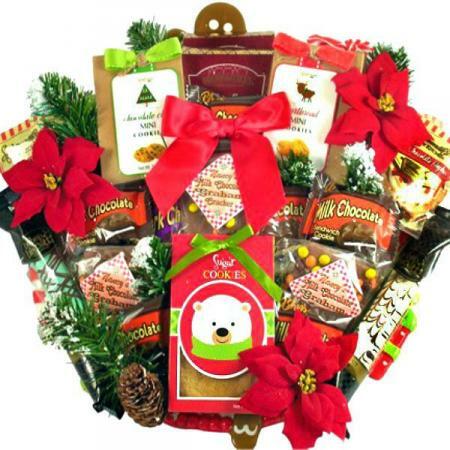 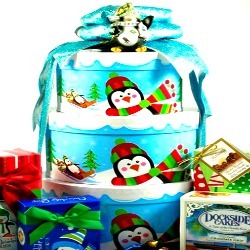 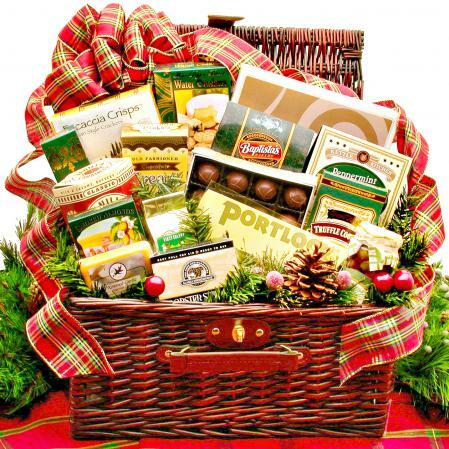 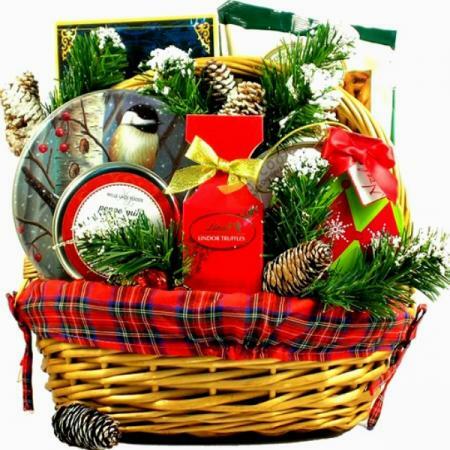 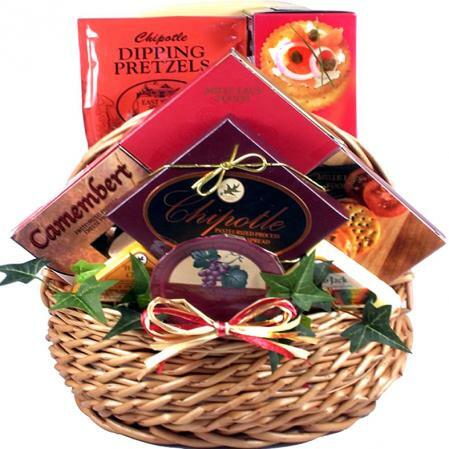 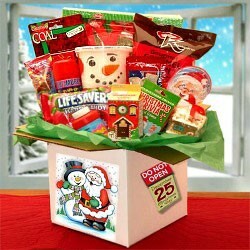 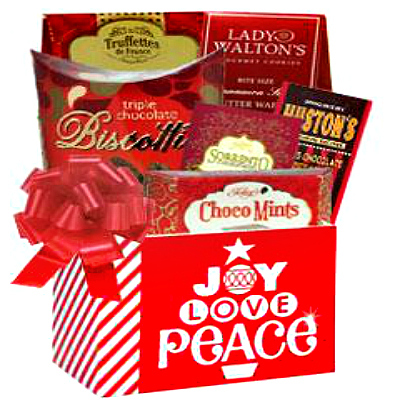 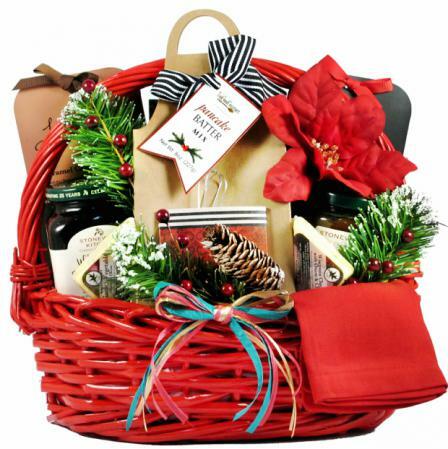 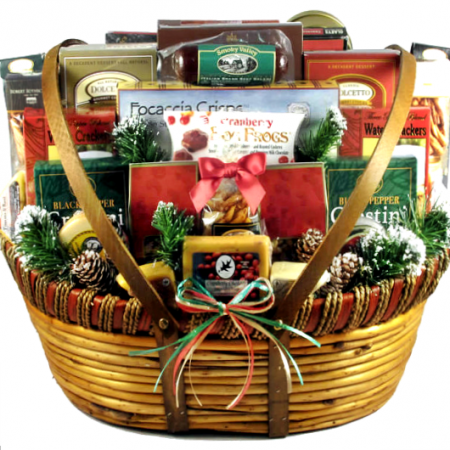 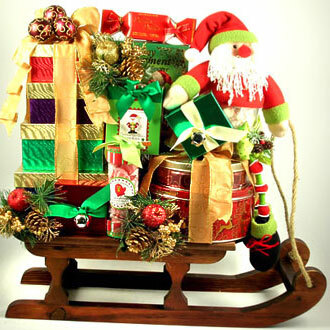 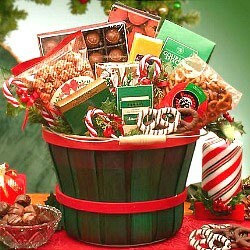 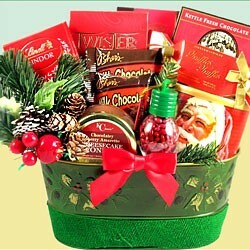 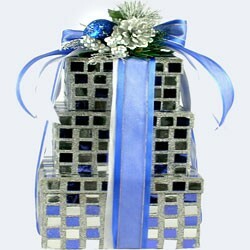 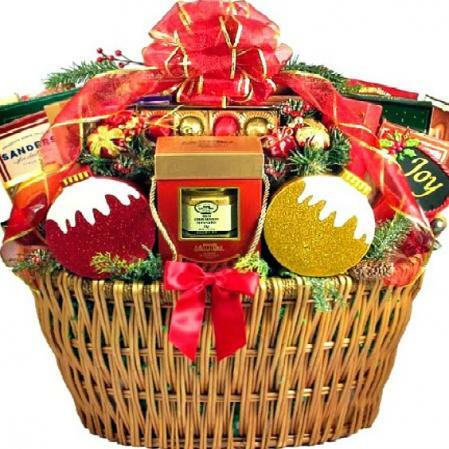 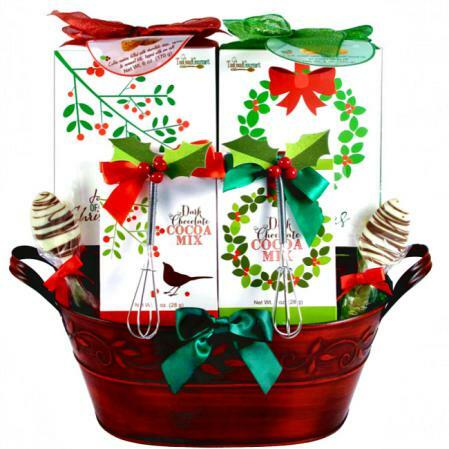 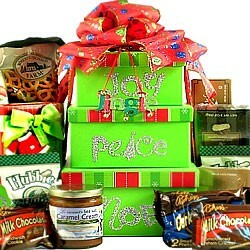 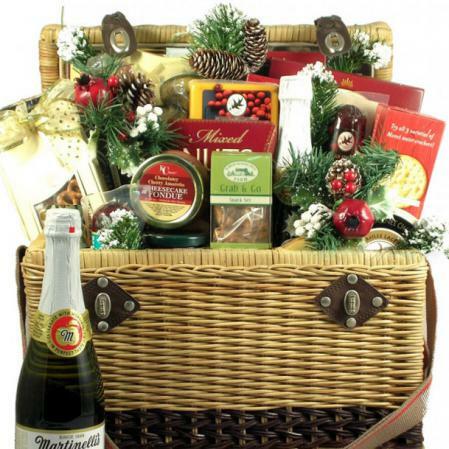 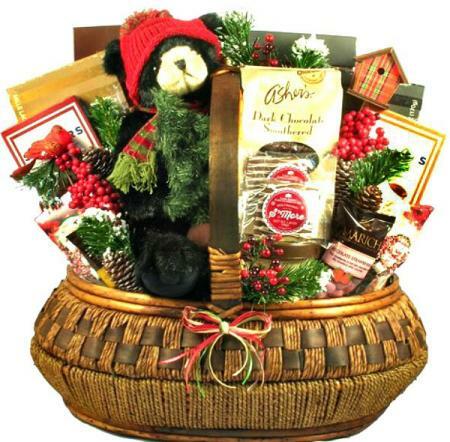 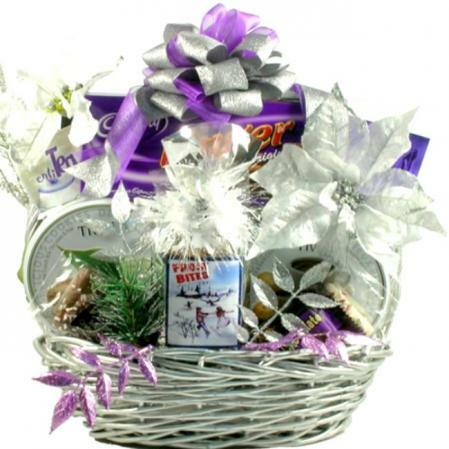 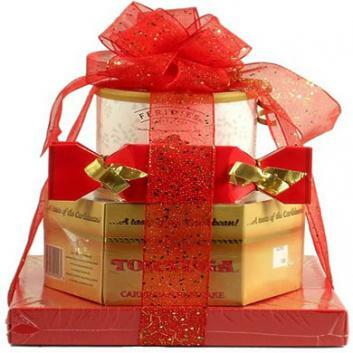 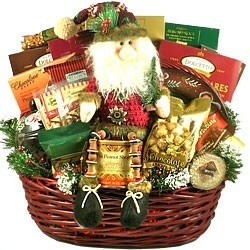 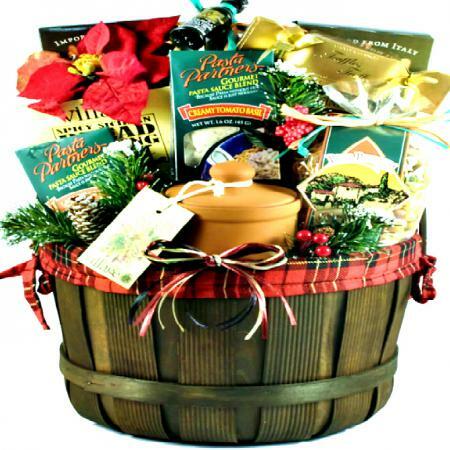 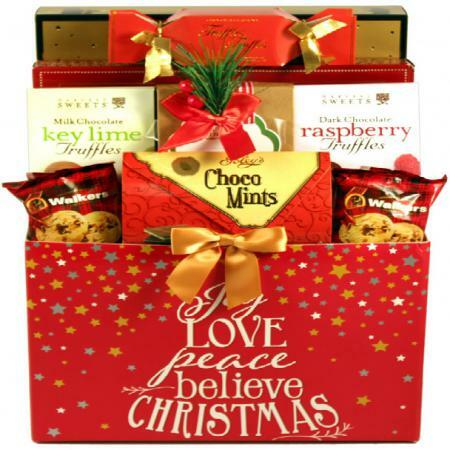 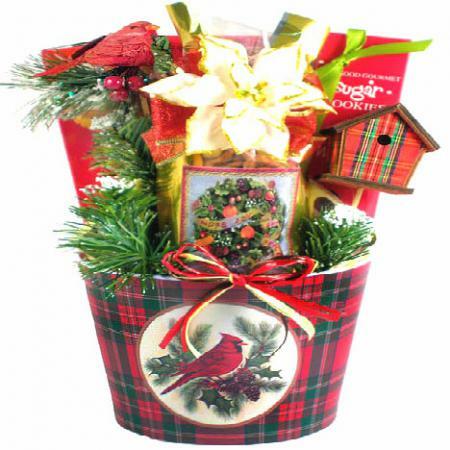 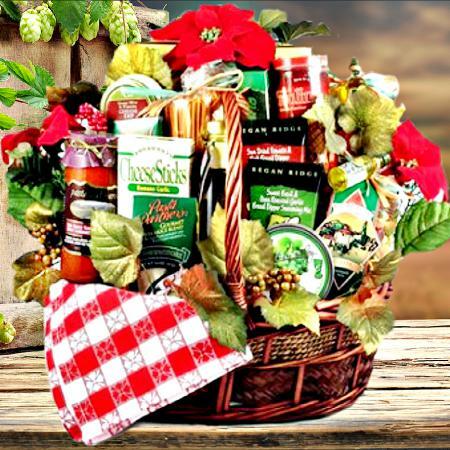 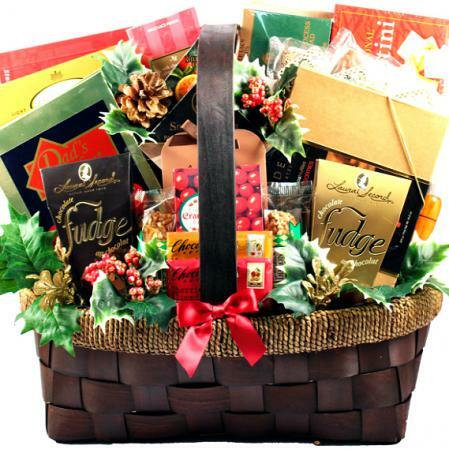 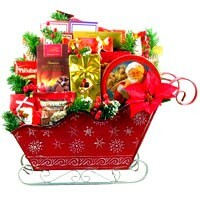 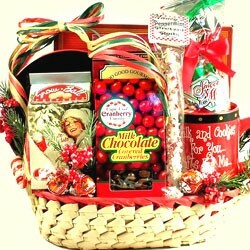 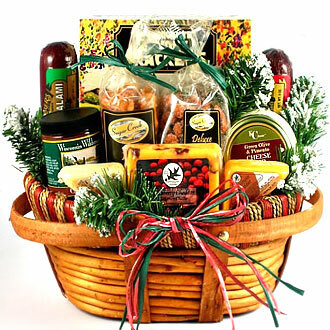 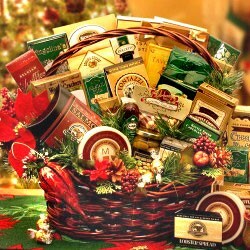 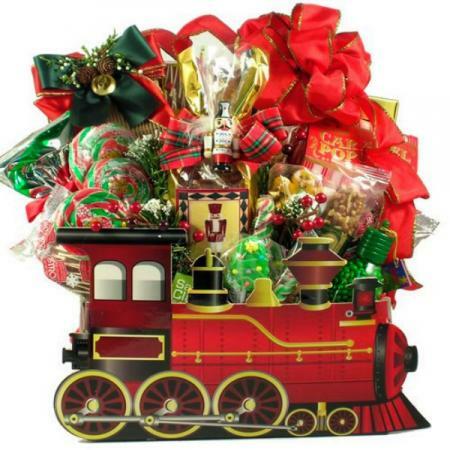 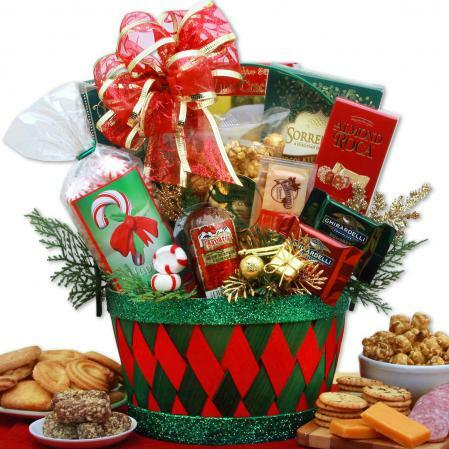 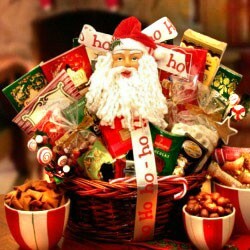 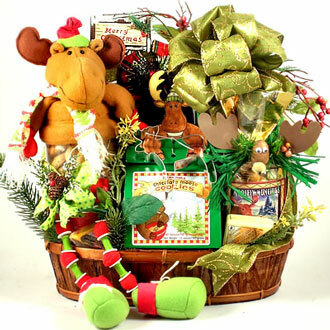 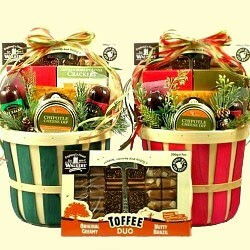 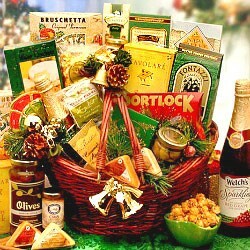 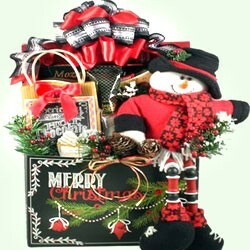 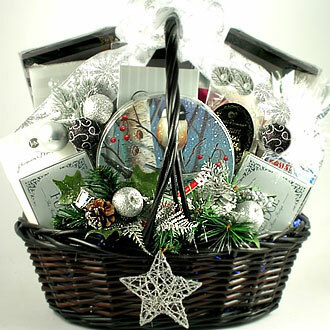 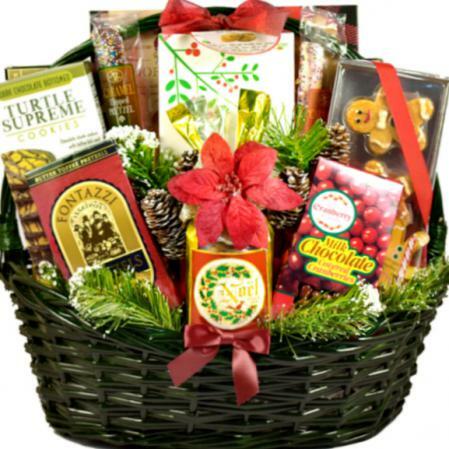 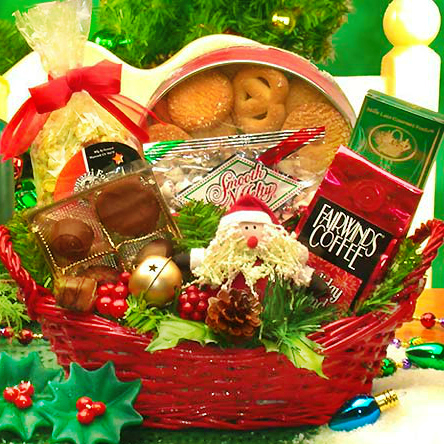 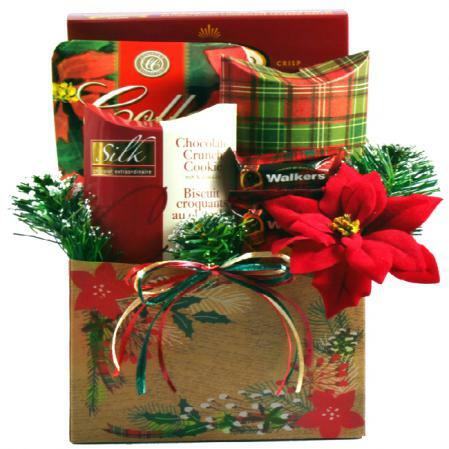 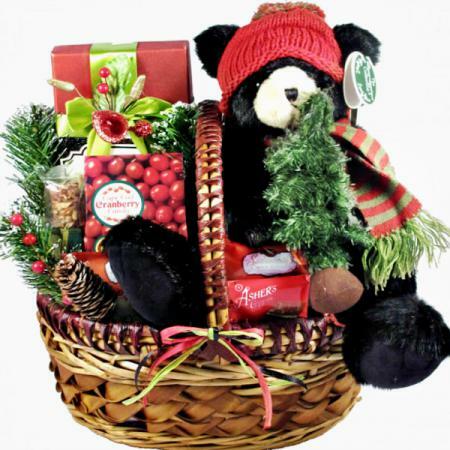 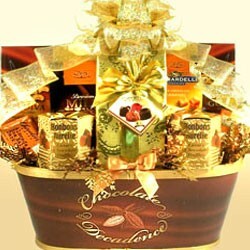 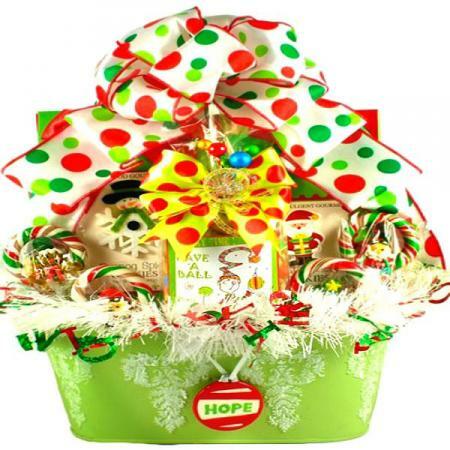 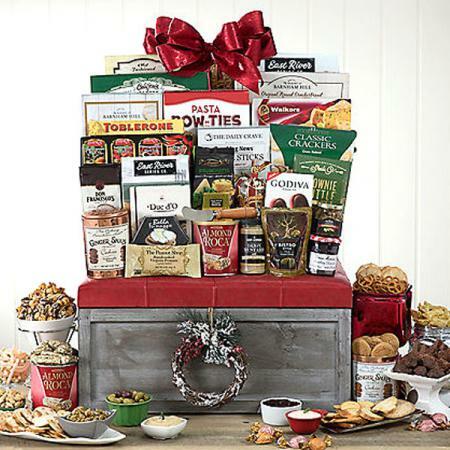 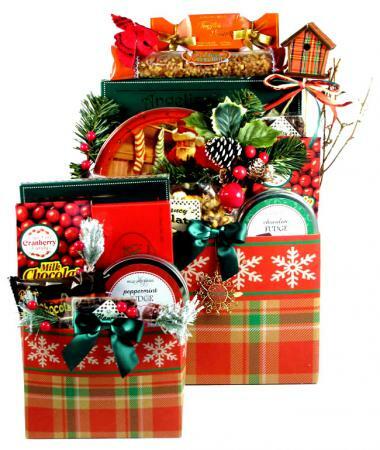 New Winter Wonderland Holiday Gift Basket, Free Shipping! Festive and fun; plentiful and playful; are just a few ways to describe this unique holiday gift basket that incorporates both traditional style and some of our all-time favorite goodies in one treasured gift basket. 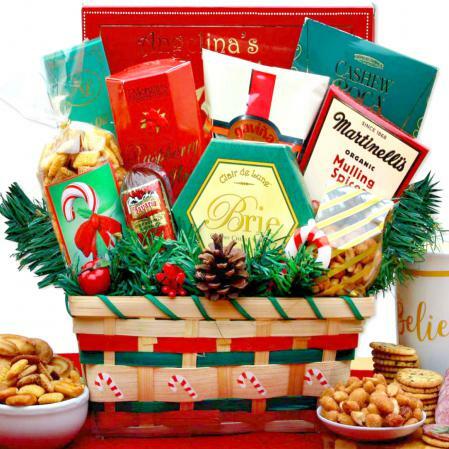 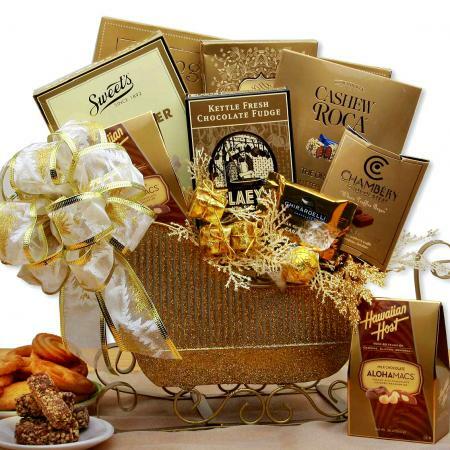 The bountiful array of delicious gourmet gifts arrives in a high-end basket dressed to impress with beautiful holiday picks, adornments, and ribbon. 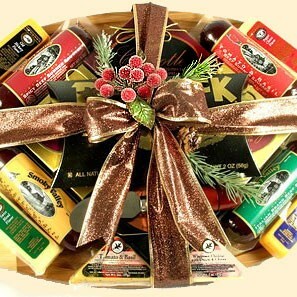 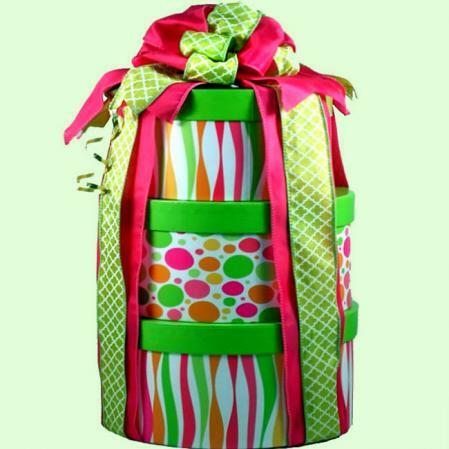 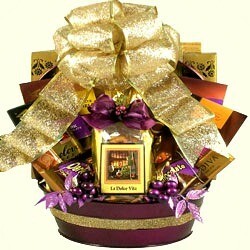 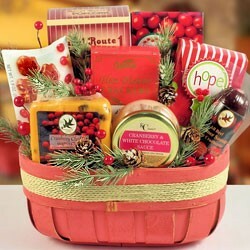 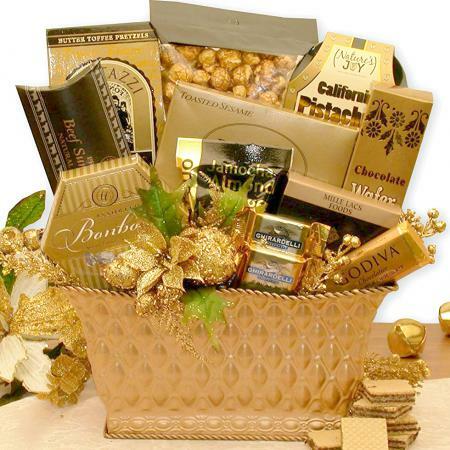 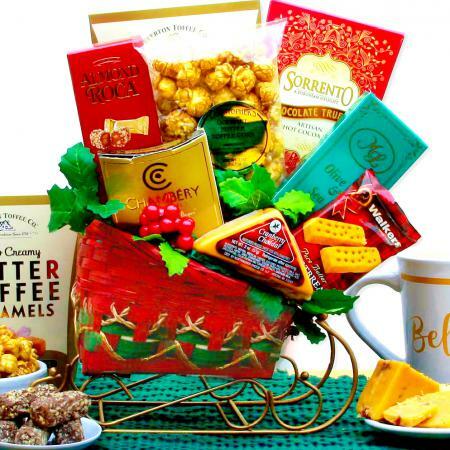 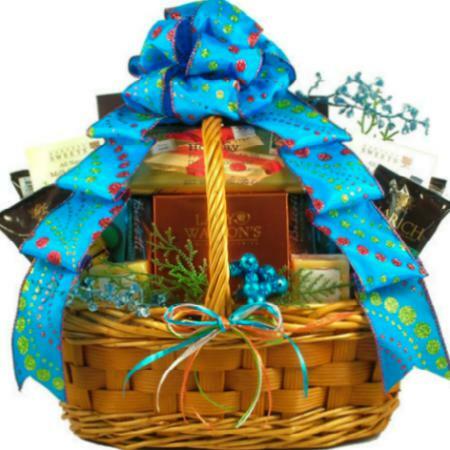 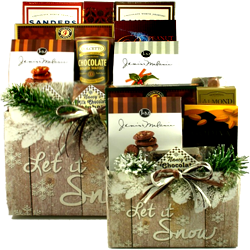 They will absolutely love this incredibly beautiful wintry gift basket!